The Queen just passed a big milestone (PERHAPS YOU'VE HEARD). I covered the festivities over at the Jewel Vault yesterday, but we'd be remiss not to give her some love here too. 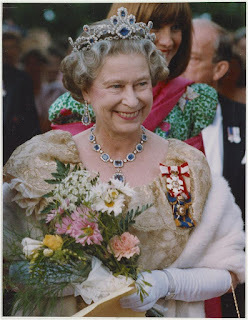 Our Thursday treat, then, will cover not one tiara but many: the tiaras of Queen Elizabeth II. A tiara retrospective, if you will, from decades at the helm of what may be the greatest jewelry collection known today. The tiaras below are in that collection and have been worn by the Queen. As always, click the name of the tiara for more information - and try the tabs at the Vault if you want to hunt down the other pieces of jewelry on display here! My tiara affections go back and forth from one piece to another, but at the end of the day, they always come back to the trusty Girls tiara. It's my favorite, and the Queen's, too. The Vladimir is probably the tiara in the collection with the most suspenseful backstory, and definitely the tiara in her collection with the most flexibility (don't forget the emerald drop option, as seen on the video below, or wear it with no drops at all). Worn most often in its pearl format, it's among the Queen's favorites. 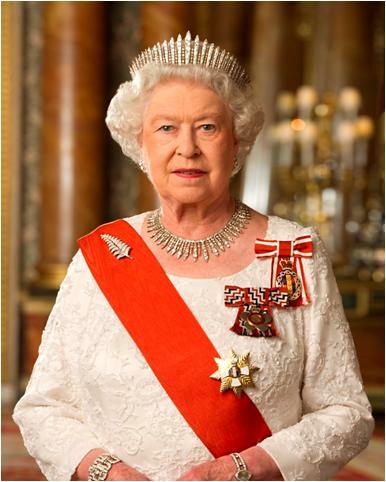 Also known simply as the Diamond Diadem, this symbolic tiara has become more of a ceremonial piece during her reign. A tiara that deserves to be seen in motion, this is a wall of diamonds in the best possible way. Though it must be a sentimental piece for Her Majesty, having worn it on her wedding day, she's worn this classic fringe tiara only a couple times since inheriting it on the Queen Mother's death in 2002. I love this tiara from Queen Victoria's collection and so did the Queen Mother, but it's been worn just once (so far) since it returned to the Queen in 2002. Created to match a set of aquamarine stones given to her by Brazil, I can't hide the fact that this is my least-favorite tiara the Queen wears. But even at that, I can't argue with the magnificence of these blue stones. 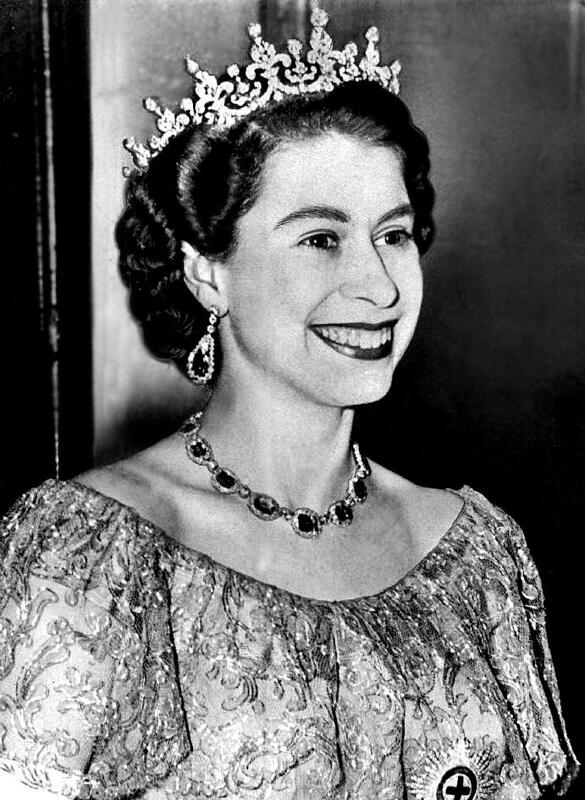 The tiaras added to the collection by the Queen during her reign usually draw the most divided reactions. This is one, added in 1963, is no different. And here we are again: another tiara created at the Queen's own commission, and another of...divided opinions. 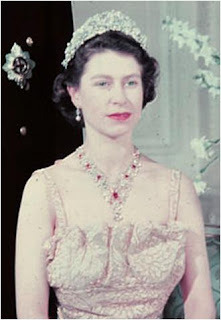 A wedding gift later broken apart with the stones donated to the Burmese Ruby Tiara, this classic floral tiara was a staple of her early tiara-wearing years, and deserves a mention on its own. Three brooches from the tiara and the accompanying necklace are still in use in the Queen's collection. Although it wouldn't really become famous until she loaned it to Diana, Princess of Wales, the Queen wore Queen Mary's tiara in the early years of her reign. It's now back in the vault, awaiting its next wearer. Worn, it seems, just once by the Queen, this tiara has now found recognition via a loan to the Countess of Wessex, who has worn it on several occasions. 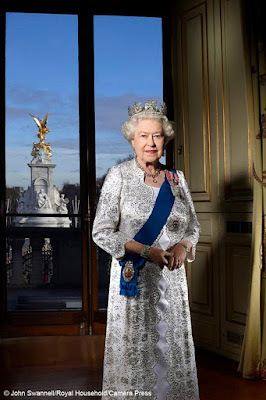 A dozen tiaras worn from her collection, but is this all of them? Maybe not. Her private collection is larger than we can know, so any retrospective is bound to be a selection only. 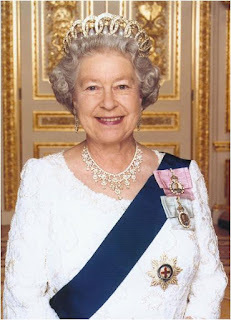 There are others that she has loaned to family members but is not known to have worn herself, and others she may have worn privately (the Halo Scroll Tiara and the Meander Tiara, for example, were both gifted to the Queen, but she hasn't been pictured in either). 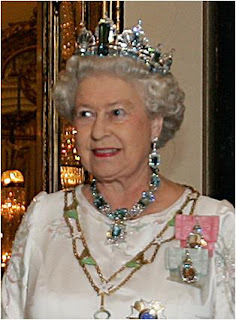 Plus, there may be other treasures as yet unknown to us, the tiara-loving public. But this is plenty to play with, so tell me: Which one is your favorite? Vote in the poll embedded below!